If you want to really get ahead fast then find a good mentor or if you are really lucky find several good Mentors. Finding a good Mentor can put you light years ahead of the game. It takes one good mentor to show you the ropes and key ideas behind success and the rest is history. There is no reason to recreate the wheel of success. Finding someone who has been successful and who has already been where you want to go makes perfect sense. Most truly successful people can look back to a pivotal point in their success as the time they met a certain mentor or mentors. This is one of those secrets that I charge big money for. This one idea can change your life. 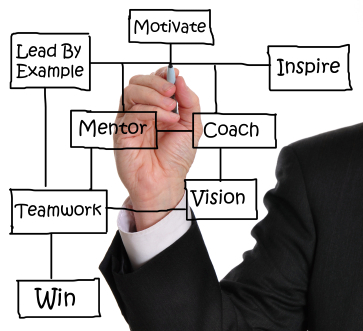 So you have picked out someone who is highly successful and you think this person might be a good mentor for you. What are your next steps? One great way to size up possible mentors is to ask them to lunch. This gives you a chance to sit down with them face to face and to find out how they did it. What they did to fins success. So here is the big secret. You are wondering how I get my possible mentor out to lunch. Just ask them. You will be surprised how many successful people are willing to sit down via a lunch to talk about their success. Let’s face it, everyone like free lunch and everyone likes to talk about themselves don’t they? Why not do it over lunch with someone who really wants to listen. Here is how you play it. Contact the person or their Administrative Assistant. Tell the person that you are a big fan and really respect their work. Explain to them that you are interested in the same areas that they have found success in. Tell them that you know their time is extremely valuable. Offer to treat them to lunch at the date, time, and place of their choice in order to speak to them about their success. It is that simple. You will be surprised how many successful people will take you up on your offer. Keep in mind to be truly successful you have to give back to others. Most successful people get this, and they are very good at trying to help others find success. Consider this a double interview. Not only are you interviewing this successful person to see if they would make a good mentor, but the mentor will be sizing you up to see if you make a worthy student. So be prepared. You have to look sharp, and have a well planned out course of action. DO NOT WING IT! Do your homework, know the potential mentors history and scope of work. Know their level of success. Read as much as you can about them. Find out what interest them as well. Make sure you can clearly articulate what you are looking for if the mentor asks, and yes they will ask. Always be polite, thankful, gracious, and a good student. Do not waste the person’s time. Develop some well thought out smart questions that you would like to have answered. This is a conversation and a lunch not an interrogation. Take notes during the lunch. I will say this again, take notes. Going to a lunch with someone you respect and not taking notes is not effective. This will give you something to look back on later. The possible mentor will think you are driven and organized by taking notes. If you are not leaning what I am teaching then I start to think I am wasting my time. You have to be a good student. This means listening, taking good notes, and implementing the advice you are given. It also means not repeating the same mistakes over and over. In order for the mentor relationship to work it has to be a win win for both parties. The relationship has to be of value for both parties. Make sure you bring value. It takes one good idea, one good opportunity, or one good connection to make you a millionaire. Successful and wealthy business people can bring you in on a deal in exchange for your smarts and sweat equity and make you a millionaire. This is an achievable dream. You have to look to bring value to your mentor. You should be constantly thinking of ways to give value to your mentor in exchange for the information and knowledge they are sharing with you. Is articulate, can teach you, and is willing. Just because someone is successful does to mean they necessarily teach others. Make sure your mentor can teach you effectively what you need to know. Have connections: As my friend Chris Williams has said too many times, I would rather know somebody than be somebody. Connections are king. One good hookup can put you in the millionaire seat. Make sure you make it worth the mentors while: There is no such thing as a free lunch. Mentors will give you tons of advice and help within reason. If you get the chance to give something back to your Mentor jump all over it. If you can make it a two way street a Mentor is more willing to really give you all the secret sauce. This is especially true if you help them make money or achieve success as well. 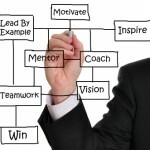 To find out more about how to achieve success and how to find a great mentor, go to our website www.topsuccesssite.com. We offer the best personal development advice and the best free success help on the web!